A “very destructive” category 4 cyclone slammed into Australia’s remote northern coast on Saturday, while a second, equally powerful storm bore down on the country’s west. 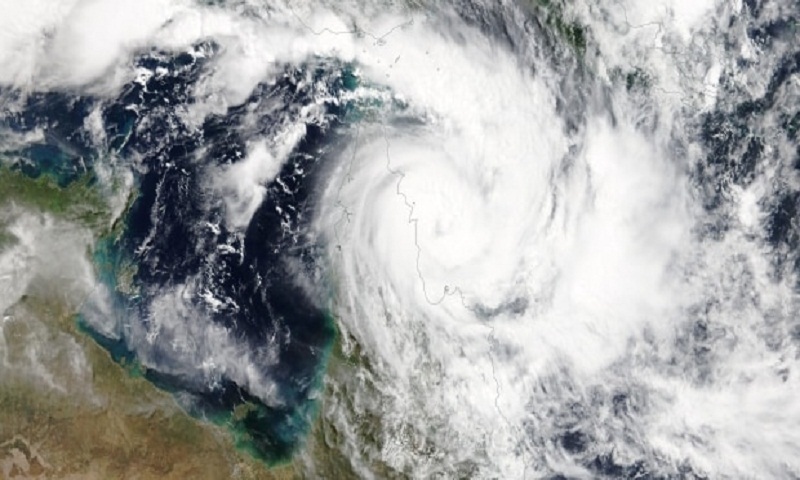 Cyclone Trevor, pushing a huge storm tide and packing winds of up to 250 kilometres per hour (150 mph), made landfall on the sparsely populated Northern Territory coast near the Gulf of Carpentaria town of Port McArthur, national broadcaster ABC reported. The army and police had already evacuated most residents from communities in Trevor’s path, though a handful of locals remained behind, police told the ABC. The Bureau of Meteorology (BOM) said Trevor was driving a “very dangerous storm tide” along coastal regions and that heavy rainfall was expected to cause flooding across wide areas of the Northern Territory and neighbouring Queensland. Meanwhile another category 4 cyclone, Veronica, was bearing down on the more heavily populated mining region of Pilbara in Western Australia state, where it was expected to make landfall late Saturday or Sunday. “We could see widespread inundation,” of the region, he said.